The image of journeying always signifies a movement in life or a progress in sadhana. A journey in carriage, train, car, steamer, boat, aeroplane etc. indicates a movement in the sadhana. A journey in a boat or other conveyance means always a movement in the yoga — often an advance or progress. Journeying on a horse or in a conveyance, if symbolic, means a progress or a movement in life, work or sadhana. 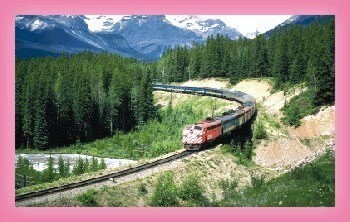 The journey in the train is the passage from one consciousness to another. The very object of yoga is a change of consciousness — it is by getting a new consciousness or by unveiling the hidden consciousness of the true being within and progressively manifesting and perfecting it that one gets first the contact and then the union with the Divine. Ananda and Bhakti are part of that deeper consciousness, and it is only when one lives in it and grows in it that Ananda and Bhakti can be permanent. Till then, one can only get experiences of Ananda and Bhakti, but not the constant and permanent state. But the state of Bhakti and constantly growing surrender does not come at all at an early stage of the sadhana; many, most indeed, have a long journey of purification and Tapasya to go through before it opens, and experiences of this kind, at first rare and interspersed, afterwards frequent, are the landmarks of their progress.